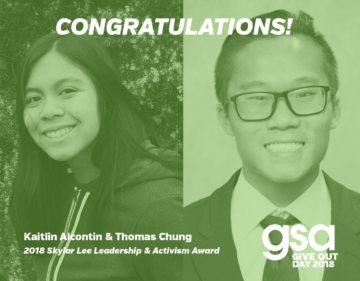 GSA Network is supported by generous individuals, foundations, and corporate donors whose investment provides the critical resources needed to empower youth activists to create safer schools. You, too, can support GSA Network! The Genders & Sexualities Alliance Network is a 501(c)3 tax-exempt organization. Our IRS identification number is 20-5367752.